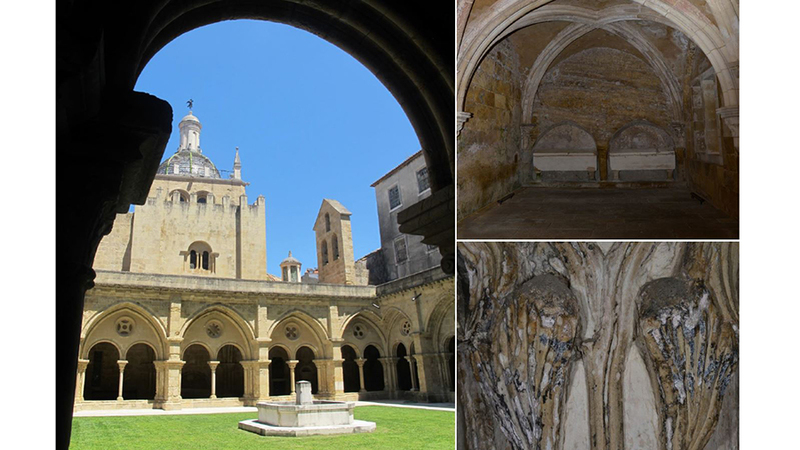 The Old Cathedral of Coimbra [right], the Santa Maria chapel [left, top] and the artwork from which the scientists retrieved the studied fungi [left, bottom]. Photo by Miguel Mesquita. This is a colony of the newly described black fungus species Aeminium ludgeri. Photo by João Trovão.